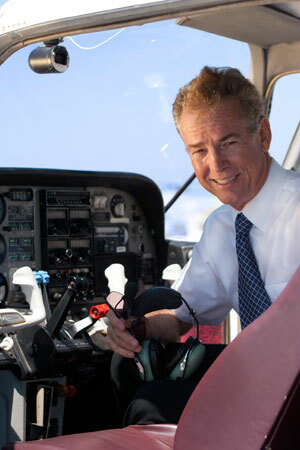 My father, an accomplished pilot and military flight instructor, gave me my first exposure to aviation at an early age, and like a lot of people I did not become a certificated pilot until my mid thirties. I then earned my CFI certificate at Sacramento’s Executive Airport in November, 1990. My son Jason, the third generation pilot in our family, is an airline pilot for a cargo airline. Throughout my training I was fortunate to receive instruction from a number of excellent pilots. The importance of your mentor in any activity cannot be overstressed. You probably learned that yourself from experience in job and hobby pursuits. Although you cannot know for sure until you fly with me, I think you will come away with a knowledge of the basic skills and mindset to fly anything in a way that maximizes your safety and enjoyment. Flying is challenging. When accomplished well it leaves us with a sense of awe and respect as well as satisfaction. Very few experiences in life, perhaps none other in fact, engage us as fully in the moment as well as immerse us into the human-machine interface to the point of being a Zen experience of travel through space and time. It incorporates the third dimension of motion control up and down instead of just the other two of fast or slow and right or left. It is my belief that this aspect is the essence of flight that attracts us all to the endeavor. If you are attracted to it as well, please contact me for more information about how I can assist you in discovering the joy of flight.